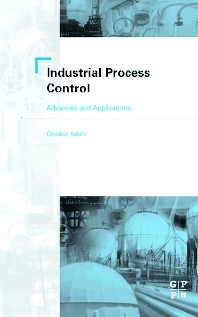 Industrial Process Control: Advances and Applications is a comprehensive, practical, easy-to-read book on process control, covering some of the most important topics in the petrochemical process industry, including Fieldbus, Multiphase Flow Metering, and other recently developed control systems. Drawing from his own experience and successes at such high-profile companies as Brown and Root and Honeywell spanning more than 20 years, the author explains the practical applications of some of the most intricate and complicated control systems that have ever been developed. Ghodrat Kalani has twenty-nine years of experience in the field of control and instrumentation systems design and engineering with such companies as Brown and Root and Honeywell. Author of about a dozen papers on instrumentation and control topics, with two masters degrees in Operational Research and Systems Engineering, member of several professional associations, including being a senior member of the ISA since 1982, Kalani is still working with Brown and Root as a Control Systems Consultant.